FREE Fireplace & Wood Stove Repair & Installation Estimates! Cape Cod Fireplace & Wood Stove » Fireplace & Wood Stove Repair & Installation » Installation or repair of fireplace, wood stove or coal stove. 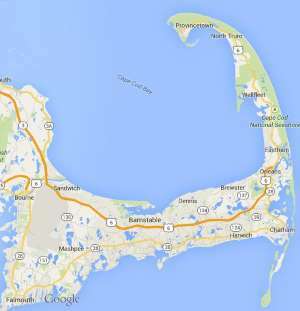 Free estimates from local Cape Cod fireplace & wood stove repair & installation companies. Get quotes on your fireplace & wood stove repair & installation project in Barnstable, Brewster, Bourne, Chatham, Dennis, Eastham, Falmouth, Harwich, Mashpee, Orleans, Provincetown, Sandwich, Truro, Wellfleet or Yarmouth, MA. Installation or repair of fireplace, wood stove or coal stove. We recently replaced our old natural gas boiler with a high-efficiency, wall-hanging unit. Because the new unit no longer uses the chimney, we would like to install a wood stove in the basement where the old boiler used to be. Home in Wellfleet with woodstove that needs inspection and possible pipe repair. We are moving into a home with a wood stove. It needs to be inspected and we would like some tips on usage. I have a wood stove and I would like to have it installed where an existing pellet stove is hooked up. I have a wood stove that I haven’t used for many years, and I would like to have it installed into my daughters home in Sandwich to help her with her heating costs since her house has electric heat. Therefore, I would need to have the stove serviced and installed into her home so that it could be inspected prior to use.